Believe it or not, there was a time when Star Wars movies only came out every 3 years – and for 16 years, we didn’t have any new movies at all! One thing about Star Wars hasn’t changed, though: everyone remembers their first time seeing Star Wars in the theater. 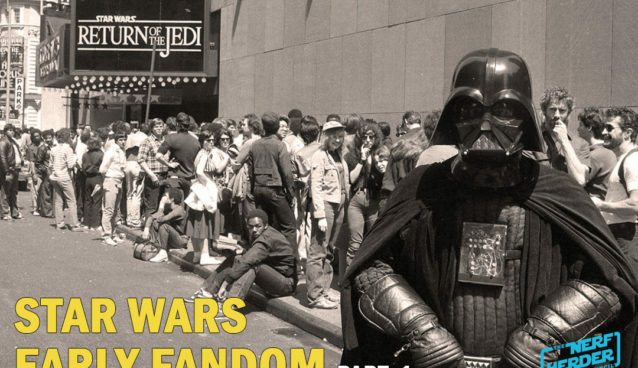 Join us as we reminisce about our earliest memories of Star Wars fandom, and look at how the fandom sustains itself between films. What’s YOUR first memory of Star Wars? We want to know! Hit us up on Twitter and tell us your story!